How is your social media marketing going? Probably not as well as you would like. 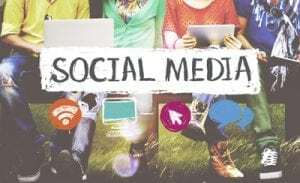 You know that social media is a useful tool and marketing tactic, but you’re unsure how to make it work for you or how to use it to grow your business. If you’re tired of spending countless amounts of time and energy on social media without seeing any visible results, keep reading, we’re going to talk about three specific ways to get clients on social media. Social media isn’t a spectator sport. If you are using social media to grow your business, you can’t just sit back and watch; you have to get active. So what does that look like? You should post regularly. I tell my clients to spend 5 minutes a day, every day posting, liking, sharing, and commenting. Engage with your followers. Don’t wait for them to come to you. Comment on their posts, share content when it’s valuable and relevant to your followers. Offer insight, information, connections and more. Social media is about building relationships with your community, and that requires conversations. Look for opportunities to offer value. Additionally, be sure to respond to comments on your posts. Continue the conversation. If someone shares your social media content, head over to wherever they shared and thank them. During some but not all, of your conversations, when the opportunity feels natural and appropriate, direct your followers to your website for resources, information, or a consultation. Give them the next step to take with you. Social media is an effective tool for promoting events, new product/service releases, or special promotions. Personally invite your subscribers and followers, and be sure to send reminders. If you host an event on social media, it should be focused on offering specific value. Attendees get the inside scoop and the ability to get in on a special offer. The key to successful social media events is to promote them well and to make sure that you are offering value. Partnering with a complementary business can help you add value and increase your reach. For example, a fitness coach may partner with a nutrition coach and create an event targeting nutrition for runners. You’ll be able to get more clients from social media when you work to solve their problems in an easily accessible way. LinkedIn and Facebook both offer opportunities to create groups that are highly targeted. This means that a business coach can create separate groups for start-ups, masterminds, and more. Creating a group offers you the ability to offer specific value to your audience and it puts you in the role of problem solver. Conversations between members are initiated and you will be able to learn more about your target audience. These three approaches for getting clients on social media all have two things in common; problem-solving and engagement. It’s about offering value and connecting. Social media gives you the opportunity to reach a large audience of potential prospects, to engage with them, and to build your base. The tools are out there for you to embrace. Start creating your strategy now. Click on the button below to download a free copy of my Social Media Scheduler. In the scheduler, you will learn 5 ways to automate & systematize your social media posts so you can increase ROI and don’t have to think about it anymore. You’ll also learn how to use the Social Media Post Worksheet (included in the e-book). The ebook also includes the TOP 15 hashtags to use in social media posting.